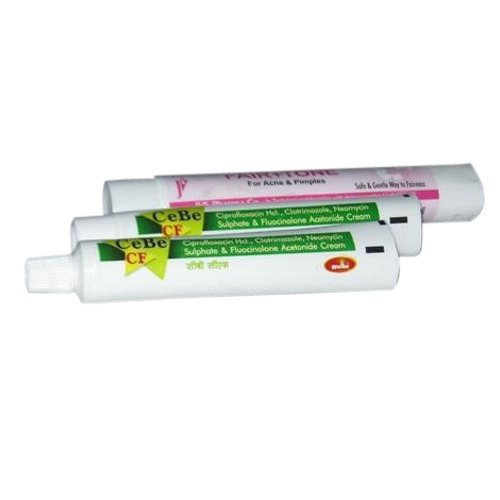 The range of products offered by us includes Health Products Tubes. These tubes are manufactured using raw materials of unmatched quality. These tubes are used to store health products such as creams. These tubes are available to clients in different size specifications and are renowned for their exceptional quality. These tubes are easy to squeeze and are tear-resistant. These unbreakable tubes are known for their unmatched quality. Established in the year 1983 at Delhi, we, Adinath Enterprises, is a leading Manufacturer and Supplier of premium-quality Lami tubes, Colored Plastic Tubes, Mehendi Tubes, Lip Guard Tubes, Laminated tubes, Pharmaceutical Tubes and Cosmetic Tubes. These are manufactured using the best quality raw materials at our world-class infrastructure facility. Made in compliance with industrial quality standards, these tubes are used in the pharmaceutical and cosmetic industries for the storage of medicines, toothpastes, creams and other similar items. These tubes are available to clients in sealed and unsealed varieties, with or without caps based on the client’s requirements. These tubes are available to clients in different sizes, shapes and colors.